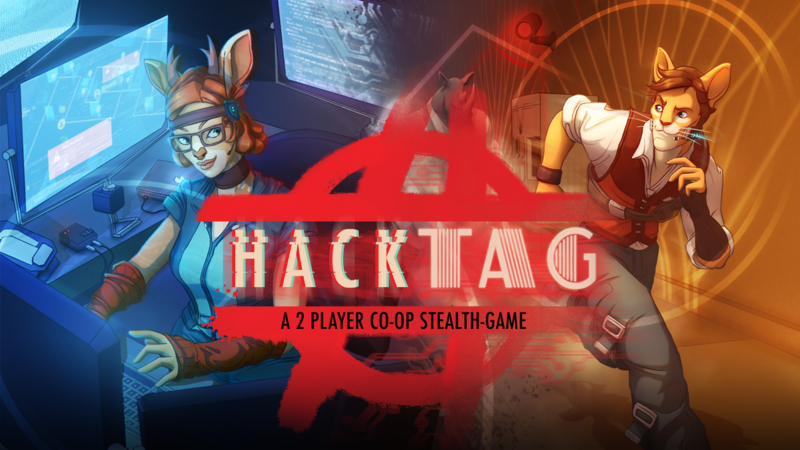 Hacktag is a 2-player co-op stealth-game with an asymmetric gameplay. 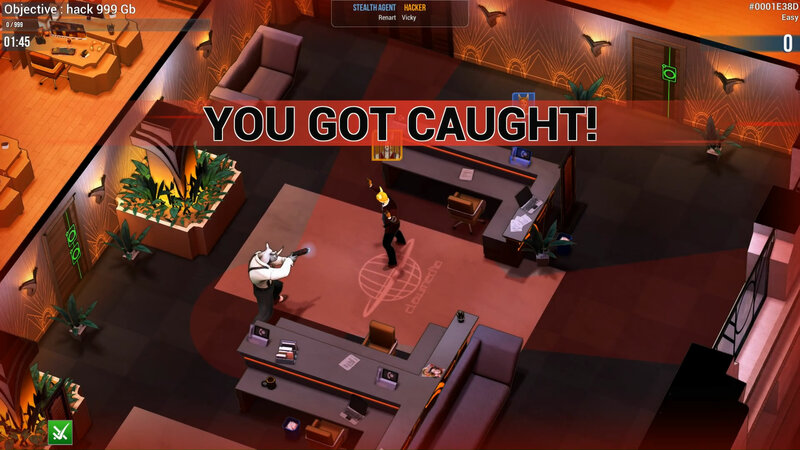 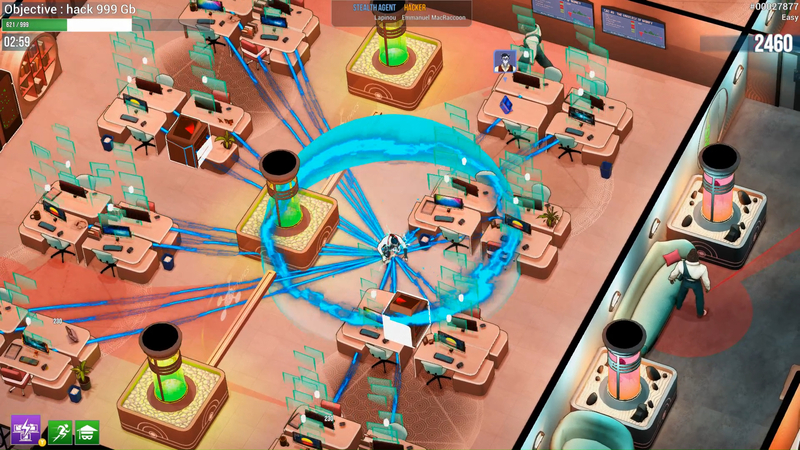 Play as the stealth Agent in the field or as the Hacker, virtually infiltrating and cooperating to fulfill industrial espionage missions to take down corporations. 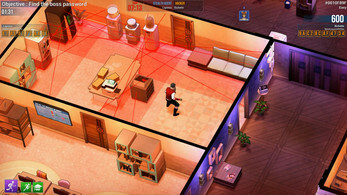 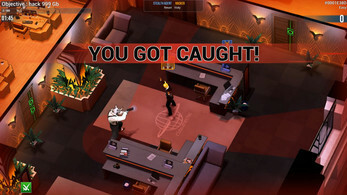 As the stealth Agent, moving through corporate buildings with an isometric 3D view and fast, arcade-style infiltration gameplay. 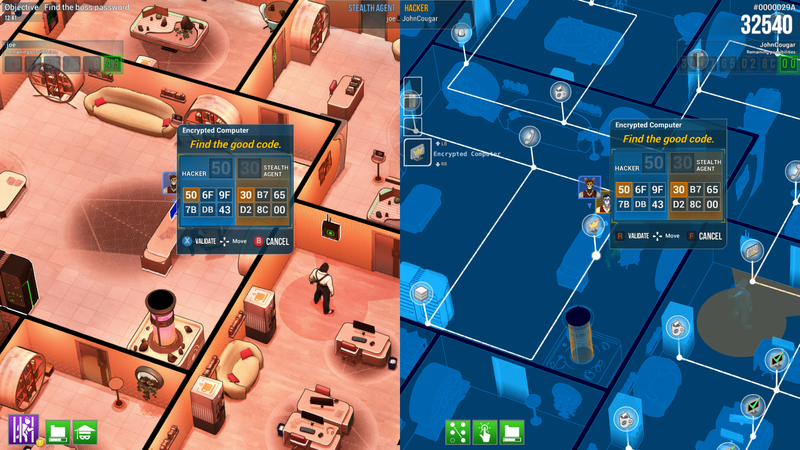 Single player: Simultaneously handle the dual roles of the agent and the hacker in frantic, fast-paced gameplay. 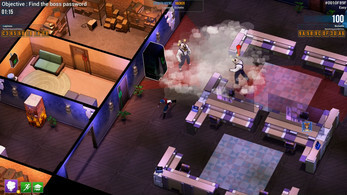 Original asymmetrical gameplay and co-op mini-games: With the timer ticking, deactivate alarms and unlock doors or holding cells. 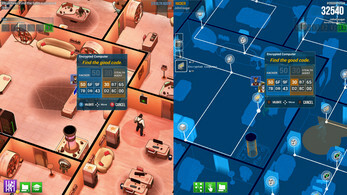 "Co-opetitive" gameplay: As mercenaries, your partner is also your best competitor! 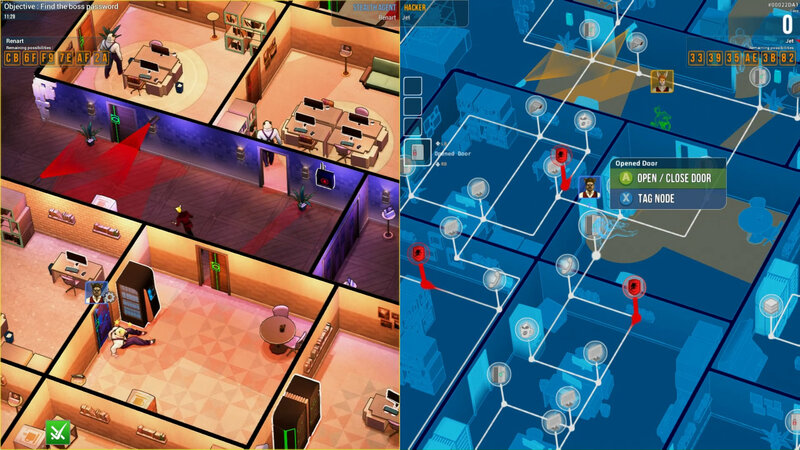 3 corporations, 2 types of missions. 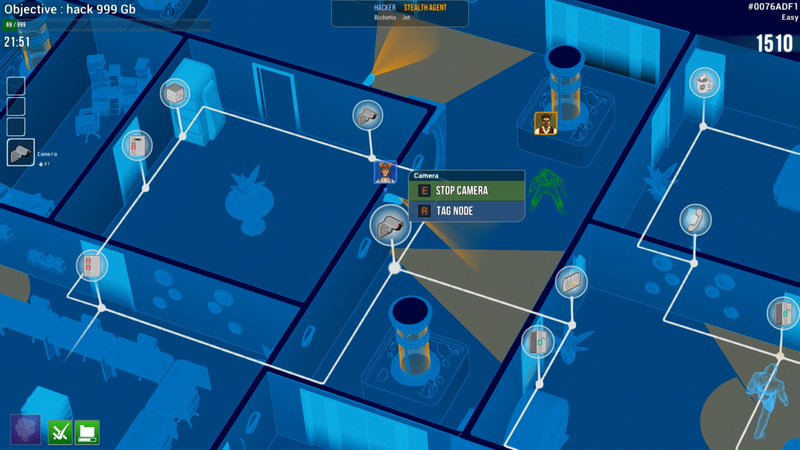 Gain experience and add unlockable skills: Choose new active or passive skills as you gain levels. 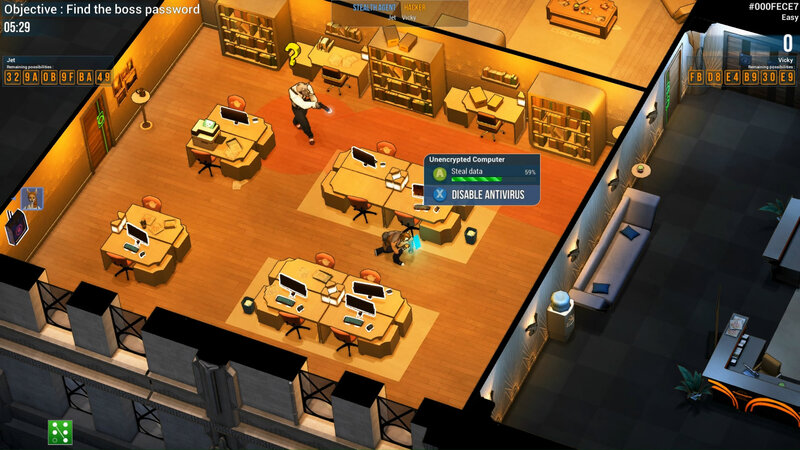 Full character creation: Customize your anthropomorphic animal character with more than 360 unlockable items. Unique story for each player: Experience Hacktag’s story with each role getting its own unique NPCs.